PYEONGCHANG, Gangwon Province -- International Paralympic Committee will pay tribute to late British scientist Stephen Hawking during the closing ceremony of the PyeongChang Winter Paralympics, officials here said Thursday. 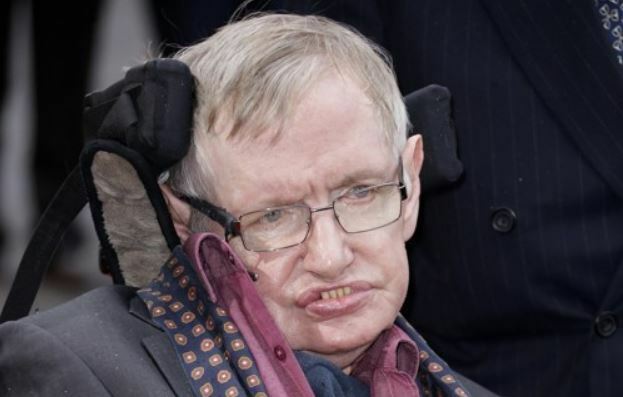 IPC President Andrew Parsons will deliver a message paying tribute to Hawking, a theoretical physicist who died Wednesday at age 76, during the closing ceremony on Sunday, according to IPC communications director Craig Spence. "Sometimes in society there is a wrong perception that if you have a disability, it is a negative word and you can't do something but Stephen Hawking turned that upside down and showed that, despite the fact he had motor neurone disease, he could still excel in his field of work," Spence said during a press briefing at Media Press Centre in PyeongChang, Gangwon Province. "He is an inspiration for all of us in the Paralympic Movement and Andrew (Parson) will be paying tribute to him in his closing ceremony speech on Sunday," Spence said. The PyeongChang Paralympics, the first Winter Paralympic Games in South Korea, started on March 9. The IPC said the PyeongChang Games have been successful. "In terms of how we measure the success of a Paralympics Games, every target has been met, tickets, broadcasters, media attendance, and one thing that is always fundamental is the feedback from athletes," Spence said. "The ones we have spoken to are really enjoying their experience." The organizers said a record 331,000 tickets have been sold so far, which is 16,000 more than Sochi 2014 and 100,00 more than Vancouver 2010. However, they are still worried that there have been no-shows at some events.